Two main demographic phenomena have substantially changed the condition of elderly according to the living in the city or in rural villages nowadays. First one is the growth of the urban population. This trend has been so impetuous that was impossible to adapt the architecture and the urban designs, at least in most cities, to the new demographic emergency: in 1950 30% of the world population lived in urban areas, it has increased to 54% in 2014 and it is expected to reach 66% in 2050 [1United Nations. World Urbanization Prospects 2014. Available from: https://esa.un.org/unpd/wup/Publications /Files/WUP2014-Highlights.pdf]. Although most of the new arrivals are made up of young people [1United Nations. World Urbanization Prospects 2014. Available from: https://esa.un.org/unpd/wup/Publications /Files/WUP2014-Highlights.pdf], the elderly who remain in the city, especially those with poor income in the suburban areas with maximum growth, live in a world that is quickly changing and it seems that not always it is changing in a size adapted for them [2Quality of life in urban and rural Europe Publications Office of the European Union, Luxembourg 2014.]. In contrast, some rural areas are becoming deprived of young people. For this reason, the elderly lose their emotional support and the help in everyday life that a traditional extended family offered in the past [3Carta MG, Kovess V, Hardoy MC, Morosini P, Murgia S, Carpiniello B. Psychiatric disorders in Sardinian immigrants to Paris: A comparison with parisians and sardinians resident in sardinia. soc psychiatry psychiatr epidemiol 2002; 37(3): 112-7. [http://dx.doi.org/10.1007/s001270200002] [PMID: 11990007] ]. The second phenomenon is the increase in longevity. In the world people aged over 60 were 607 million in 2000, then they became 901 million in 2015, and they will be around 1.4 billion in 2030. In 2050, the population of older persons will become double than of 2015, reaching around 2.1 billion. The people aged over 80, is growing even faster [4United Nations. Department of economic and social affairs population division, world population ageing, report 2015 2015.]. Aging is marked by loss of autonomy and the rise of chronic diseases. Thus, DALYs (Disability-Adjusted Life Years) will increase proportionally, with a dramatic burden on social and health costs [5European Union 2014, Horizon Project, Health, demographic change and wellbeing 2014. retrieved September 2016. Available from: https://ec.europa.eu/programmes/horizon2020/en/h2020-section/health-demographic-change-and-wellbeing, 6Marino S, Ciurleo R, Di Lorenzo G, et al. Magnetic resonance imaging markers for early diagnosis of Parkinson’s disease. Neural Regen Res 2012; 7(8): 611-9. [PMID: 25745453] ]. In a city that seems to grow too fast, why you can't plan the necessary infrastructures? How can you provide the welfare and support to the weakest? In a field where the simplest solutions, as systematic institutionalization of elderly people with low autonomy, are certainly not the best solutions for their quality life (QoL), it isn't certain that they are even the least costly solutions. The above mentioned phenomena are of such an epochal relevance that their study and the implementation of any preventative action on their possible health and mental health consequences should be a priority in the fields of public health and global mental health. The aim of present review is to investigate how the elderly living in the cities perceive the sense of insecurity compared to those who reside in rural areas, and to study relation between this perception and QoL. We carried out a systematic research on studies that compared “elderly urban/rural quality of life” or “old age urban/rural quality of life” (as key words used in Google and PubMed for search) from January 2011 to August 2017. We found 14 different studies with 18 papers published (Table 1). Results were found in Zhejiang Province, China [7Zhou B, Chen K, Wang J, et al. Quality of life and related factors in the older rural and urban chinese populations in zhejiang province. J Appl Gerontol 2011; 30: 199-225. [http://dx.doi.org/10.1177/0733464810361346] ]; Wardha district, India [8Mudey A, Ambekar S, Goyal RC, et al. Assessment of quality of life among rural and urban elderly population of wardha district, maharashtra, India. Ethno Med 2011; 5: 89-93. [http://dx.doi.org/10.1080/09735070.2011.11886394] ]; US-National Health and Nutrition Examination Survey [9Baernholdt M, Yan G, Hinton I, Rose K, Mattos M. Quality of life in rural and urban adults 65 years and older: Findings from the National Health and Nutrition Examination survey. J Rural Health 2012; 28(4): 339-47. [http://dx.doi.org/10.1111/j.1748-0361.2011.00403.x] [PMID: 23083080] ]; Hai Duong Province, Vietnam [10Huong NT, Hai Ha T, Quynh Chi NT, Hill PS, Walton T. Exploring quality of life among the elderly in Hai Duong province, Vietnam: A rural-urban dialogue. Glob Health Action 2012; 5: 1-12. [http://dx.doi.org/10.3402/gha.v5i0.18874] [PMID: 23273251] ]; Italy [11Carta MG, Aguglia E, Caraci F, et al. Quality of life and urban / rural living: Preliminary results of a community survey in Italy. Clin Pract Epidemol Ment Health 2012; 8: 169-74. [http://dx.doi.org/10.2174/1745017901208010169] [PMID: 23248678] ]; Japan [12Sewo Sampaio PY, Ito E, Carvalho Sampaio RA. The association of activity and participation with quality of life between Japanese older adults living in rural and urban areas. J Clin Gerontol Geriatr 2013; 4: 51-6. [http://dx.doi.org/10.1016/j.jcgg.2012.11.004] ]; Siliguri, India [13Akbar F, Kumar M, Das N, et al. Quality of life (QOL) among geriatric population in siliguri sub-division of district darjeeling, West Bengal. Nat J Res Com Med 2013; 2: 1-78. ]; Uberaba-Minas Gerais, Brazil [14dos Santos Tavares DM, Fernandes Bolina A, Aparecida Dias F, dos Santos Ferreira PC, José Haas V. Quality of life of elderly. Comparison between urban and rural areas. Invest Educ Enferm 2014; 32(3): 401-13. [PMID: 25504406] -17Dos Santos T, de Freitas Santos NM, Aparecida Dias F, et al. Morbidities and life quality of elderly males in rural and urban areas 2015; 37. ]; Poland [18Kostka J, Borowiak E, Kostka T. Nutritional status and quality of life in different populations of older people in Poland. Eur J Clin Nutr 2014; 68(11): 1210-5. [http://dx.doi.org/10.1038/ejcn.2014.172] [PMID: 25205321] , 19Kostka T, Jachimowicz V. Relationship of quality of life to dispositional optimism, health locus of control and self-efficacy in older subjects living in different environments. Qual Life Res 2010; 19(3): 351-61. [http://dx.doi.org/10.1007/s11136-010-9601-0] [PMID: 20146007] ]; Serbia [20Urosević J, Odović G, Rapaić D, Davidović M, Trgovcević S, Milovanović V. Quality-of life of the elderly in urban and rural areas in Serbia. Vojnosanit Pregl 2015; 72(11): 968-74. [http://dx.doi.org/10.2298/VSP140831107U] [PMID: 26731970] ]; Pimenta Bueno (RO), Brazil [21Barbosa AP, Gomes Teixeira T, Orlandi B, et al. Level of physical activity and quality of life: A comparative study among the elderly of rural and urban areas. Rev Bras Geriatr Gerontol Rio de 2015; 18: 743-54. [http://dx.doi.org/10.1590/1809-9823.2015.14182] ]; Greece [22Papaioannou W, Oulis CJ, Yfantopoulos J. The oral health related quality of life in different groups of senior citizens as measured by the OHIP-14 questionnaire. Oral Biol Dent 2015; 3: 1. [http://dx.doi.org/10.7243/2053-5775-3-1] ]; Sweden [23Werling H. Comparing the quality of life of the elderly rural and urban population of sweden 2016. Available from: http://www.diva-portal.org/smash/get/diva2:1061801/FULLTEXT02]; Kottayam District, India [24Usha VK, Lalitha K. Quality of life of senior citizens: A rural-urban comparison. Indian J Soc Psychiatry 2016; 32: 158-63. [http://dx.doi.org/10.4103/0971-9962.181104] ]; Abre Campo, Belo Horizonte, Brazil [25Amorim SM. de FP França LM, Valentini F. Predictors of happiness among retired from urban and rural areas in Brazil. Psicol Reflex Crit 2017; 30: 2. [http://dx.doi.org/10.1186/s41155-016-0055-3] ]. Urban/Rural comparison on elderly quality of life in cities and rural areas. 3.1. Do the Elderly Live well in the Cities? Under which Conditions do the Elderly Live Poorly in the City? In this framework of transition is impossible to say if the elderly live well in the cities. This question is probably not useful in this general proposition. There are no systematic comparisons between the conditions of elderly in cities and rural areas of same regions. The great mobility of populations in itself can introduce bias in cross-sectional studies. The results of these researches are not univocal. Two extensive researches in Italy [11Carta MG, Aguglia E, Caraci F, et al. Quality of life and urban / rural living: Preliminary results of a community survey in Italy. Clin Pract Epidemol Ment Health 2012; 8: 169-74. [http://dx.doi.org/10.2174/1745017901208010169] [PMID: 23248678] ] and Brazil [14dos Santos Tavares DM, Fernandes Bolina A, Aparecida Dias F, dos Santos Ferreira PC, José Haas V. Quality of life of elderly. Comparison between urban and rural areas. Invest Educ Enferm 2014; 32(3): 401-13. [PMID: 25504406] ] showed the perception of a worse QoL in urban elderly. A vast search in Sweden found no differences [23Werling H. Comparing the quality of life of the elderly rural and urban population of sweden 2016. Available from: http://www.diva-portal.org/smash/get/diva2:1061801/FULLTEXT02]. Some researchers found discordant results between cities and countryside in elderly who had different perception of QoL. Researches in Japan [12Sewo Sampaio PY, Ito E, Carvalho Sampaio RA. The association of activity and participation with quality of life between Japanese older adults living in rural and urban areas. J Clin Gerontol Geriatr 2013; 4: 51-6. [http://dx.doi.org/10.1016/j.jcgg.2012.11.004] ] and U.S [9Baernholdt M, Yan G, Hinton I, Rose K, Mattos M. Quality of life in rural and urban adults 65 years and older: Findings from the National Health and Nutrition Examination survey. J Rural Health 2012; 28(4): 339-47. [http://dx.doi.org/10.1111/j.1748-0361.2011.00403.x] [PMID: 23083080] ] found a better QoL in the cities; a study on a little Serbian sample [20Urosević J, Odović G, Rapaić D, Davidović M, Trgovcević S, Milovanović V. Quality-of life of the elderly in urban and rural areas in Serbia. Vojnosanit Pregl 2015; 72(11): 968-74. [http://dx.doi.org/10.2298/VSP140831107U] [PMID: 26731970] ] found no differences. The limits are obvious. They are induced by transversal designs, by the different social e cultural conditions and the level of development of the area investigated in the city and countryside; by the different percentage of institutionalized elders (in cities and rural areas) who did not participate in the “community” household studies; by the cultural factors as determinants of adherence; by different adherence rates, usually lower in cities and often lower in the more disadvantaged neighborhoods; by the difference of accessibility to a home fixed telephone when searches were conducted on samples selected on telephone directories, or even conducted by telephone. Prospective studies are at the beginning. A recent cohort survey conducted in New Zealand highlighted how the QoL and depressive symptoms were related to: house ownership, economic living standard, urban versus rural residence, length of residence, ethnicity, age, and household composition [26Szabo A, Allen J, Alpass F, et al. Longitudinal trajectories of quality of life and depression by housing tenure status. J Gerontol B Psychol Sci Soc Sci 2017. [http://dx.doi.org/10.1093/geronb/gbx045] ]. Studies on depressive and mood disorders in old age are most homogeneous concerning a condition worsening of elderly in the cities, at least in western societies as found by a German survey [27Jacobi F, Höfler M, Siegert J, et al. Twelve-month prevalence, comorbidity and correlates of mental disorders in Germany: The Mental Health Module of the German Health Interview and Examination Survey for Adults (DEGS1-MH). Int J Methods Psychiatr Res 2014; 23(3): 304-19. [http://dx.doi.org/10.1002/mpr.1439] [PMID: 24729411] ], by the whole results of the World Health Survey in Sao Paolo, Brazil [28Andrade LH, Wang YP, Andreoni S, et al. Mental disorders in megacities: Findings from the São Paulo megacity mental health survey, Brazil. PLoS One 2012; 7(2): e31879. [http://dx.doi.org/10.1371/journal.pone.0031879] [PMID: 22348135] ] and by the results of urban versus rural elderly people from Sardinia, Italy [29Carpiniello B, Carta MG, Rudas N. Depression among elderly people. A psychosocial study of urban and rural populations. Acta Psychiatr Scand 1989; 80(5): 445-50. [http://dx.doi.org/10.1111/j.1600-0447.1989.tb03004.x] [PMID: 2596342] ]. Conversely, studies in China [30Phillips MR, Zhang J, Shi Q, et al. Prevalence, treatment, and associated disability of mental disorders in four provinces in China during 2001-05: An epidemiological survey. Lancet 2009; 373(9680): 2041-53. [http://dx.doi.org/10.1016/S0140-6736(09)60660-7] [PMID: 19524780] -32He G, Xie JF, Zhou JD, Zhong ZQ, Qin CX, Ding SQ. Depression in left-behind elderly in rural China: Prevalence and associated factors. Geriatr Gerontol Int 2016; 16(5): 638-43. 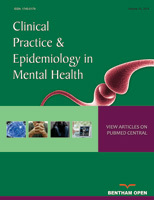 [http://dx.doi.org/10.1111/ggi.12518] [PMID: 26017357] ] and Vietnam [33Fisher J, Tran T, La BT, Kriitmaa K, Rosenthal D, Tran T. Common perinatal mental disorders in northern Viet Nam: Community prevalence and health care use. Bull World Health Organ 2010; 88(10): 737-45. [http://dx.doi.org/10.2471/BLT.09.067066] [PMID: 20931058] ] on whole population found in the recent past a different trend with risk for depression of all the people (and partially of elderly) of rural areas against those of urban ones. Nevertheless, a recent study has examined the relationship between different household registration statuses and depressive disorders. In 7409 older adults in China, authors found temporary rural-to-urban migrant people at high risk for depression, permanent rural-to-urban migrant people at risk for depression, and urban local citizen not at risk. In addition, elderly with changes in their residential status before age 16 were more likely at risk of depressive symptoms [34Guo J, Guan L, Fang L, et al. Depression among Chinese older adults: A perspective from Hukou and health inequities 2017; 223: 115-20.]. The results of such study therefore suggest that is likely a shift of people with high frequency of depression from a brief migratory experience in cities towards the return to villages. A phenomenon that has already been hypothesized in a study repeated over time in Sardinia [3Carta MG, Kovess V, Hardoy MC, Morosini P, Murgia S, Carpiniello B. Psychiatric disorders in Sardinian immigrants to Paris: A comparison with parisians and sardinians resident in sardinia. soc psychiatry psychiatr epidemiol 2002; 37(3): 112-7. [http://dx.doi.org/10.1007/s001270200002] [PMID: 11990007] , 35Carta MG, Perra A, Atzeni M, et al. An evolutionary approach to mania studying Sardinian immigrants to Argentina. Rev Bras Psiquiatr 2017; 39(2): 147-53. [http://dx.doi.org/10.1590/1516-4446-2016-2005] [PMID: 28300934] , 36Carta MG, Angermeyer MC, Sancassiani F, et al. A follow-up on patients with severe mental disorders in Sardinia after two changes in regional policies: Poor resources still correlate with poor outcomes. BMC Psychiatry 2013; 13: 333. [http://dx.doi.org/10.1186/1471-244X-13-333] [PMID: 24313930] ]. Obviously, the cross sectional model allows to formulate causative hypotheses not to test them. In general, all these researches may not be able to answer to questions but may suggest hypothesis on risk and protecting factors to be tested in well-equipped studies and with longitudinal designs [37Bramanti A, Bonanno L, Celona A, et al. GIS and spatial analysis for costs and services optimization in neurological telemedicine. 2010. [http://dx.doi.org/10.1109/IEMBS.2010.5627147] ]. For example, a good protective factor could be the fact of being “at home” and “in family” for a not totally autonomous elder, as reported by study in which it seems that phenomenon is more widespread in rural than in urban areas [11Carta MG, Aguglia E, Caraci F, et al. Quality of life and urban / rural living: Preliminary results of a community survey in Italy. Clin Pract Epidemol Ment Health 2012; 8: 169-74. [http://dx.doi.org/10.2174/1745017901208010169] [PMID: 23248678] ]. Ultimately, this step is necessary to reflect on what aspects need to be investigate and on which factors is possible to create a protective role. 3.2. City, Slums and Violence in the Perspective of the Elderly People: Why are Studies Missing? About one third of the population of cities, and ever more in the megacities, lives in disadvantaged circumstances that are described as “slums”. Due to the impetuous flux of people to the cities this fraction is predicted to grow tremendously in the next years [38De Weerdt S. Violence and Health A critical discussion of the interactions and effects of violence and slum settings on health and their inclusion in contemporary urban health interventions and recommendations 2011.]. A stimulating environment could offer many opportunities to change their lives for people becoming to conditions of extreme poverty or war. The theory of goal striving stress [39Parker S, Kleiner RJ, Needelman B. Migration and mental illness. Some reconsiderations and suggestions for further analysis. Soc Sci Med 1969; 3(1): 1-9. [http://dx.doi.org/10.1016/0037-7856(69)90034-1] [PMID: 5821226] ] has been explicated as an apparently not favorable condition, for those who live in a site for generations, but could appear as offering riches and opportunities for people arriving from areas of greater deprivation. But in a changing world, the adaptation has difficulties ever for the newcomers youngest, even more for older people who come from a rural world that has certainly slower pace, and also for who, on the contrary, already lived in suburban neighborhoods that are changing totally their own physiognomy. On the other hand, it is incontestable that some, not all, cities have become the most dangerous places in the world. For example the U.S. homicide rate declined by nearly half (49%), from 9.3 homicides per 100,000 U.S. residents in 1992 to 4.7 in 2011, falling to the lowest level since 1963. However, some cities maintained rates of homicide over 50 per 100,000 (Saint Louis and Baltimore) or over 40 (Detroit and New Orleans). The same trend was found in Europe that is known as “the safest continent in the world”. However, also some European cities, such as Rotterdam in Holland or Lodz in Poland’s, show rate of homicides really over the average of the continent or the respective countries [40Smith LE, Cooper AD. US Bureau of Justice Statistics 2013. Available from: https://www.bjs.gov/index.cfm?ty=pbdetail&iid=4863]. However, there is a total impressive lack of studies of how elderly live violence in the city and what consequences it has on their own life and autonomy. It is paradoxical that some indications come from a study not specifically conducted on the elderly and not conducted in particularly deprived areas [41Fabio A, Geller R, Bazaco M, et al. A survey of residents’ perceptions of the effect of large-scale economic developments on perceived safety, violence, and economic benefits. J Environ Public Health 2015; 2015: 903264. [http://dx.doi.org/10.1155/2015/903264] [PMID: 26273310] ]. This study was carried out with the aim “to assess the effect of community economic development efforts on neighborhood residents’ perceptions on violence, safety, and economic benefits”. Six Pittsburgh neighborhoods, in which casinos and sport arenas were built with the objective of increase the economy, were involved. Thus, the study was “focused on evaluating interventions and policies designed to change community economic conditions or characteristics of the physical environment” [41Fabio A, Geller R, Bazaco M, et al. A survey of residents’ perceptions of the effect of large-scale economic developments on perceived safety, violence, and economic benefits. J Environ Public Health 2015; 2015: 903264. [http://dx.doi.org/10.1155/2015/903264] [PMID: 26273310] ]. Due to the choice of the sample (from telephone directories) and the method of conduction (by telephone), the study actually selected a sample composed in most of elders: actually it was a sample of over 60 years of average age and a proportion of inactive people at work over 60% compared to about 7% of the reference population (probably due to the high rate of retirement due to the large amount of old people). Both residents in the neighborhood with the entertainment arena and in the neighborhood with the casino felt there was an increase of criminality. In contrast, the crime decreased in both neighborhoods. This strange result is only understandable if one takes into account that a sample of predominantly old people had difficulty adjusting to a change. Although, this change meant an increase in the number of jobs and economic benefits, the respondents themselves found it. If this happens in suburbs rich and safe enough, it can only hypothesize what is perceived on security of elderly in depressed suburbs, with high rates of crime and an impressive increase in population from new arrivals with different cultures. This is a lack of knowledge that needs to be overcome. The condition of elderly in the cities is changed considerably in the recent years. This trend is estimated not to diminish but will increase in the coming years. However, we do not know how older people are experiencing these changes, how they perceive the persistence of violence in cities and how these phenomena impact their daily lives. Future researches must necessarily satisfy this need by addressing the issue with appropriate methodological tools. Given the proportions of the phenomenon of migration to the cities and the increase in life expectancy, this is a public health priority. Quality of life in urban and rural Europe Publications Office of the European Union, Luxembourg 2014. United Nations. Department of economic and social affairs population division, world population ageing, report 2015 2015. Akbar F, Kumar M, Das N, et al. Quality of life (QOL) among geriatric population in siliguri sub-division of district darjeeling, West Bengal. Nat J Res Com Med 2013; 2: 1-78. Santos NM, Tavares DM, Dias FA. Quality of life comparasion of elderly urban and rural stroke victims. J Res Fundam Care 2014; 6: 387-97. Dos Santos T, de Freitas Santos NM, Aparecida Dias F, et al. Morbidities and life quality of elderly males in rural and urban areas 2015; 37. Guo J, Guan L, Fang L, et al. Depression among Chinese older adults: A perspective from Hukou and health inequities 2017; 223: 115-20. De Weerdt S. Violence and Health A critical discussion of the interactions and effects of violence and slum settings on health and their inclusion in contemporary urban health interventions and recommendations 2011.